Alcoholism is a disease. Like many other diseases, alcoholism is chronic, meaning that it lasts a person’s lifetime; it usually follows a predictable course, and it has symptoms. What are the government and people of Grenada doing about the high rate of alcohol consumption amongst the youths? Isn’t there a liquor act here in Grenada? If not, government needs to implement a Gaming and Liquor Act because wherever there are games, there is liquor so both act should be intertwined as one. Alcohol consumption is the 3rd-largest risk factor for disease and disability worldwide. It results in an estimated 2.5 million deaths annually, more deaths than caused by HIV/AIDS or tuberculosis. For males ages 15-59, it is the leading risk factor for death. All we are getting from government is ‘Talk Talk’ and no action because when they should be in Parliament tabling motions on this hot bottom issue, they are pussyfooting. We have a group of jokers for politicians who aren’t doing anything to resolve this problem. Alcohol consumption is associated with more than 60 types of diseases and injuries. Alcohol consumption in Grenada is a growing national concern. Approximately 6% of males and 1% of females suffer from alcohol use disorders. 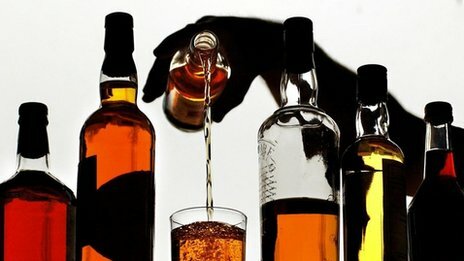 According to the World Health Organisation (WHO), Grenada’s total adult per capita consumption of alcohol (defined as the per capita amount of alcohol consumed in litres of pure alcohol among individuals 15 years of age or older) is 10.35 litres annually, compared to an average of 6.15 litres worldwide and 8.67 in the Americas. Adult per capita consumption is 6.28 litres in Trinidad and Tobago and 5.44 litres in Saint Vincent and the Grenadines. Soon we wouldn’t have sober people but rather a nation of drunkards. Many failed to realise that alcoholism is a serious problem and it’s fuelled by many things and is one of the contributing factors of socio economic issues. Treatment has helped many people stop drinking, rebuild their lives and continue a life in long-term recovery. I believe every licence holder who shall knowingly supply or who shall allow any person to supply any description of intoxicating liquor to a person under the age of 18 years for consumption by that person on the premises of the licence holder shall be guilty of an offence and shall be punishable by law. I support the initiative of introducing AN ACT TO AMEND THE LAW RELATING TO THE SALE OF INTOXICATING LIQUOR AND THE LAW RELATING TO THE MANUFACTURE AND SALE OF SPIRITS. To be honest, Grenada is a place where laws are not enforced, and I have said it in the past, and I will continue to say it again: Those in authority needs to get up and do their job. “You can’t even stroll the sidewalk in the city freely especially on weekends without encountering drinkers who are often seen in groups having a good time as described by these youngsters.” This kind of behaviour is just sickening and worrisome. Is that the future we are creating? What kind of examples are we setting for the younger ones to follow? Children need to trust and depend on those who are responsible for them, and when they can’t, they will follow the trend of what they see adults do because they are not setting good examples. With no disrespect to our local soca artists here in Grenada who are always singing about drinking and promoting alcohol use. I think they can do much better with the lyrics in their music because all they are singing about is rum, and they too have an important part to play in promoting the use of alcohol consumption in their music. I think there should be some sort of regulations when it comes to writing lyrics because this is not to international standards. Tougher restrictions should be imposed on supermarkets, suppliers and distributors of alcoholic beverages. Any found guilty must be fined heavily. There should also be a tax increase on alcoholic beverages and liquor. In order to curb this ailing problem, it is necessary to put those restrictions and regulations in place. We cannot afford to breed a lawless society where laws aren’t enforced. Who is willing to help those individuals make that change? Because the first step towards change is acceptance, from which they can move forward and change their life.